Venture Stream will be exhibiting at Marketing Show North this year. Global eCommerce is on the rise, with an estimation of total sales reaching $4.5 trillion by the year 2021. Now more than ever you need to be sure you are running your eCommerce site to the highest standard possible. With so much competition, approximately 110,000 eCommerce businesses generating revenue globally and counting, you need to be sure you’re ahead of the game. We discuss the most common eCommerce marketing mistakes and how to avoid making them. Let’s go back to the basics – audience segmentation is the process of dividing a market into sub-categorised groups based on their demographic and other shared characteristics. It’s a way of identifying unmet customer needs, in order to get ahead of your competition and provide solutions to these needs. 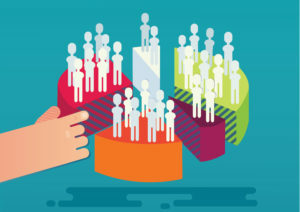 The use of audience segmentation can help with a huge range of targeted marketing efforts, ensuring that the right message reaches the right consumer. It’s important when segmenting audiences that you think outside the box and avoid stereotyping. Buyer personaresearch can be particularly important during the segmentation process, as you want to segment by very specific characteristics and not just generalise by gender, age, etc. Dividing by interests, needs, lifestyle, status and so on is key. Many people can take the easy route and segment by the most generic characteristics, but putting time and effort into segmentation is the best way to drive results. Be sure that you don’t ‘over segment’ – having too many categories can create niches that often don’t come up and can become confusing for marketers to keep up with. Keep segmentation consistent, specific and clear. 48% of consumers are more likely to spend when the shopping experience is personalised for them. There are so many ways to personalise your website for visitors, from user-generated techniques and loyalty programmes to progressive personalisation based on real-time and historical data. User-generated personalisation is determined by where a visitor navigates to on your site. During browsing, content such as ‘you might also like’ and ‘other visitors who viewed this product also viewed…’ becomes visible. The more a consumer is exposed to items that are suited to them, the longer they will browse and the more likely they will be to convert. Although this type of personalisation is important, it is the bare minimum and you should expand your efforts further to see results. Progressive personalisation is based on data characteristics of visitors. Real-time data is collected through cookies and other variables as a visitor browses your site. It can also involve rules based on the segmentation process mentioned earlier. Pop-ups, messages and ads can then be tailored via location, gender, device type, traffic source and even weather conditions. Historical data is recorded from the journey a specific visitor took on your site in the past and can target messaging based on the number of previous orders, average basket and transaction value, total amount spent, cart abandonment and how often the visitor frequents your site. If you want to take a more innovative approach, you could have visitors fill in a survey/quiz at the start of their buyer journey, asking them outright to provide their preferences in order for you to filter the best products for them. It can be a common mistake when designing a website to choose your own design preferences over those that would best suit your audience. The colour scheme, fonts and layouts should all be chosen with your target audience in mind and not just what looks good to you. The way a website looks on first glance can make a huge difference as to whether a visitor will stay on your site, in fact 55% of all visitors will leave a site after just 15 seconds. It needs to be easily navigable, tailored to your audience and demonstrate your brand appropriately. There are several ways you can ensure that your website works best for your customer, research and create buyer personas, conduct a survey to gain feedback on your site, use a ratings system once a visitor has converted and follow up with customers via email. This may not be an issue if you make your own product, however if you sell products created by another manufacturer, you shouldn’t just be regurgitating their product descriptions. It can be so tempting when the work seems to already be done for you to just copy and paste direct from the manufacturer site, but you risk getting lost in Google searches, or worse being removed from Google rankings entirely. Be unique, describe the product in your own tone of voice and ensure it suits your brand. Use the description to explain why you stock this product and why you think it is great for your customers. Manufacturers can have a tendency to be technical and objective when describing a product and lack the ability to really sell it, so make sure you do! To find out more about how duplicate product descriptions can impact SEO ranking, read our blog post, ‘The role of content in SEO’. If the copy on your website is all about your business and how great you are and not what the benefits of choosing you are, it’s likely to turn consumers off. Avoid writing about why you and your product is amazing – yes this is important, you want customers to understand your brand values and the quality of your product, but it needs to be done in a way that solves their problems. Brand values that consumers can relate to and want to be part of can help to drive conversions, so ensure that the content of your site is packed with information suited to your target audience. How can your product enhance the life of your customer? What can you do for them that your competition can’t? Social media can play a massive part in getting consumers to your site. However, it won’t always help with conversions once a visitor has made it to your site. Sure, have visible links to your social networks, but be careful not to overdo it. You want to generate a following in order to promote your product/services, and you want customers to see what you’re up to but you also must avoid directing visitors away from your site. 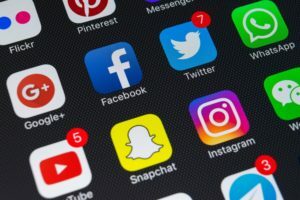 If social isn’t promoted correctly, it can actually take away from your conversions, a study conducted by Visual Website Optimiser found that businesses saw an 11.9% increase in call to action click-throughs when social channels were removed from product pages. 90% of consumers read online reviews before making a purchase and 88% of them trust the online reviews as much as personal recommendations. So it’s important that the reviews you have displayed on your website are honest and fair. Ensure that you don’t eradicate the negative or indifferent reviews from view. Work to improve the service you provide and good reviews will become a sure thing, but consumers will respect your brand more knowing that you’re willing to be upfront and honest when things haven’t gone too well. A good way to prove your values is to always reply to negative reviews with an apology, a solution and sometimes an offer to make it up to the unsatisfied consumer. If an item is currently out of stock on your website, make sure there is a call to action in place, again using personalisation, for example ‘we’re sorry but this product isn’t available right now. You might like this…” Another good call to action when an item is unavailable is to ask the visitor to leave their email address so you can notify them when it is back in stock. When notifying them, offer a small discount and they are likely to revisit and convert. Don’t let a customer walk away from your site empty handed to purchase from elsewhere, be sure to have a solution in place. Mobile has become so prevalent in the way we shop today, that consumers actually use their devices whilst in store to help them make informed purchases and find products more easily. In 2017, 49.7% of eCommerce sales in the UK were made using a mobile device, with the estimation that mobile purchases will account for at least 56% of all eCommerce sales by 2021. If your website is only designed for desktop, you need to get up to date and optimise it to work efficiently across a range of platforms. Ensuring shoppers can have a seamless experience with your site no matter the way they access it will prevent them from going elsewhere. It may seem strange, but it is actually quite common for an eCommerce business to invest thousands into the creation of a website, and then sit back and relax waiting for the sales to roll in without measuring successes and failures. Measuring success isn’t all about how many sales or how much money you made in a day. It’s about understanding which marketing strategies are working to deliver results for your business and consistently repeating these techniques. 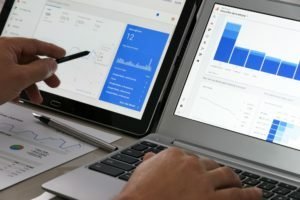 Using Google Analytics to track transaction and item data and determine the channels that are generating your sales can be helpful to see where your strategy is working efficiently and enable you to rethink the areas that are taking a dip. Don’t fall into the trap of these trivial mistakes, they are so easily avoidable and can make a huge difference to the way users interact with your website and how they convert. What is Customer Lifetime Value and Why Does it Matter?